Democracy lives over at Uncommon Wisdom. Sean Brodrick is very bullish on gold – and you would never know he works for the same firm as Larry Edelson. They both can’t be right. Sean says that this is, “The potential gold-buying opportunity of the decade.” Edelson might agree, but first, he expects gold to drop below $1,400. Brodrick points out that central bank reserves added over 15 million troy ounces of gold last year. That’s an increase of 16% to a 48-year high of 532 tons in 2012. Their buying has continued into 2013 and so far, in just the first two months of the year, they have added another 1.9 million troy ounces. Brodrick mentions mining costs are rising rapidly (oil, rubber, labor) and the average break-even point has increased to $1,211 an ounce. That puts a floor beneath gold and it keeps marginal producing properties from coming on line. Note the similarities between the May to August 2012 period and the February to April 2013 period. Gold could go either way right now. But there are plenty of forces lining up that could send it higher. 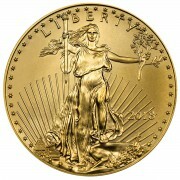 The major factors affecting gold prices are aligning perfectly to set up gold for a huge rally. Another reason to be optimistic about gold is because Goldman just came out with their prediction for 2013 and see gold at $1,450/oz. How often do they recommend one thing and privately invest in the opposite direction? More often than I care to remember. And George Soros says gold is no longer a safe haven. So let’s forget about centuries of history that says otherwise and why then are central banks buying gold hand over fist? I view comments by Goldman and Soros as self-serving, and far, far from reality. Today Jim Sinclair spoke with King World News about the massive and coordinated attack on the gold market. Below is what Sinclair, who was once called on by former Fed Chairman Paul Volcker to assist during a Wall Street crisis, had to say in this interview. “Today was a coordinated attack on gold. We had the Goldman Sachs recommendation to short gold. We also had the Federal Reserve Open Market Committee notes quite unusually released before the opening. Then we had the mainstream media focus on the sale of Cyprus gold, and Mrs. Lagarde on the wire telling people everything was fine with the economy. The market in gold has significantly changed…. What are they afraid of? I have been involved in the gold and silver markets for 30 years and I have never seen such a concentrated effort to keep gold and silver from moving up. J.C. Penney recently fired CEO, Ron Johnson. Johnson changed JCPs policy of offering their clients coupons for sales and re-branded the company to “every day low prices.” His marketing change was a total failure. What we have now in gold and silver is the same “every day low price” philosophy that JCP tried. But in this case, the plan is to dull interest in the precious metals. If prices are “always cheap,” there is little incentive to buy (the physicals). But it is backfiring. Central banks are buying all the physical gold they can get their hands on. (See comments on central bank purchases, above.) Retail customer demand is so great, the mints can’t keep up with the demand. 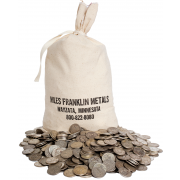 Junk bags of silver coins are nowhere to be found. 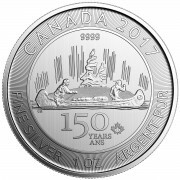 The US Mint is allocating silver – they can’t keep up with the record demand. 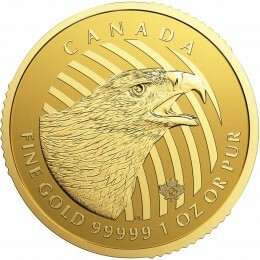 Never has the disconnect between paper and physical gold and silver been so strong. Comex is a market for the hedge funds. Physical gold and silver is for people and central banks that want a sound currency in the midst of global currency-devaluation. Jim Sinclair has it pegged. He calls it “MOPE.” MOPE stands for Management Of Perspective Economics. Read his comments. The MOPE is everywhere; Goldman, IMF, the Fed… and of course the MSM (Main Stream Media) is the chorus singing their tune. Then came the news – Cyprus to sell gold. Of course, it never materialized. A spokesman for the Cyprus Central Bank says the $523 million gold sale was never discussed. The underlying problems must be immense! They are using every trick in the book to hold prices down. Of course, they will fail! Goldman is scum as they recommend the wrong advice to the sheeple (aka suckers) on purpose and then take the opposit position. They have been doing so for years but the sheeple (aka suckers) just can’t seem to figure it out. Soros is a pimple on the hiney of society (aka Spin Doctor). Then Cyprus vigorously denied the report. So, Reuters got it all wrong then, eh? Thanks for your comments. I enjoy reading your material. Sees you and Larry have a different take on gold and silver. Don’t get me wrong,Sinclair appears to be working hard for the common man for no charge but he’s got to get real and lose the BS.